To hear an audio recording of this written reading, click here. There will also be a lunar eclipse on September 27th which will be a blood moon because the moon will appear red in Charlottesville, Virginia during the eclipse. To find the eclipse time in your time zone click here. Summary: This Full Moon supports the Heart’s desire to put a decisive end to situations that continue to demand mental attention. As a result, this Full Moon frees up energy to support unique, remarkable, charismatic personal qualities that the Heart longs to express. The Princess of Swords carries the responsibility of implementing the qualities of her lord, the Ace of Swords, in the physical world. In the image, she guards the throne of the Ace while wielding the sword of mental analysis as if to cut through the grey, stormy atmosphere around her. She wears a Medusa’s crest upon her head. In the context of this reading, this card from the suit of the realm of the intellect (Swords) says that the Heart needs the assistance of mental processes to organize a conclusion of situations of controversy. 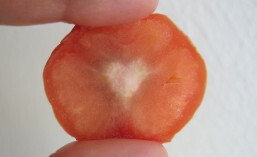 The Heart wishes to take action/decision, and such motion in the outer world engages the mind. There have been matters piling up that obstruct further expansion of the Heart, and in it’s own wisdom, the Heart knows that this is the time to bring these matters to an end. This Princess represents skillfulness and adeptness at practical matters, so it is likely that one will easily clean up messy problems and move forward. The Medusa’s head on this Princess’ crest represents the power to make solid whatever is volatile. Since the head is not facing the viewer, it is optional to have/not have a vengeful approach when identifying solutions. This Full Moon with heightened power due to a lunar eclipse and this Full Moon’s physical closeness to the Earth can be the unseen support for the Heart’s wishes. 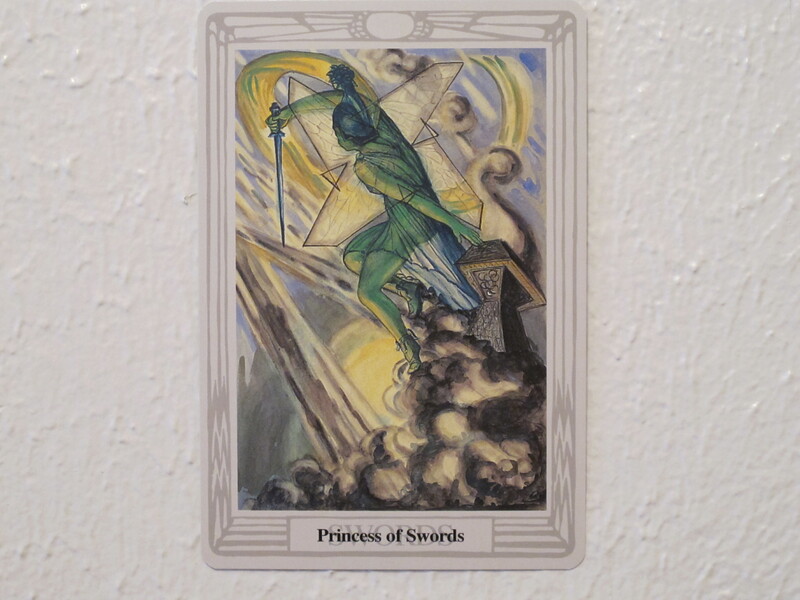 The Ace of Swords not only has a special relationship with the Princess of Swords, but it also appears in the reading to be reflected on in its own right. This Ace carries the pure form of the intellect, including individual will and survival-instinct. In Arabic-Demascened script, the blade of this magnificent sword (the sword of the magus) is inscribed with the Greek word thelema, which is a multi-layered word referring to the individual Will. First, the meaning of thelema is not simply the will to do whatever flies into one’s head, it is the Will to go forward with the symphony of personal attributes that one has, while also offering them in alignment with the law of love. The crescent moons on the hilt of the sword signify the subconscious and unconscious mental processes that also participate in the quest of aligning the Will with the law of love, such as dreaming, making projections, working out karma, organizing task companions, etc. The Will would be connected to the Heart’s lifetime agenda, even though that agenda has to be intuited by non-intellectual processes. Engaging in the Heart’s agenda is how thelema would align with universal love. Second, the meaning of thelema also contains the survival instinct. The intellect usually operates on the basis of preserving its organism, unless there has been trauma to that instinct. If the instinct has been traumatized, one goes about over-compromising oneself such that others gain at one’s expense. 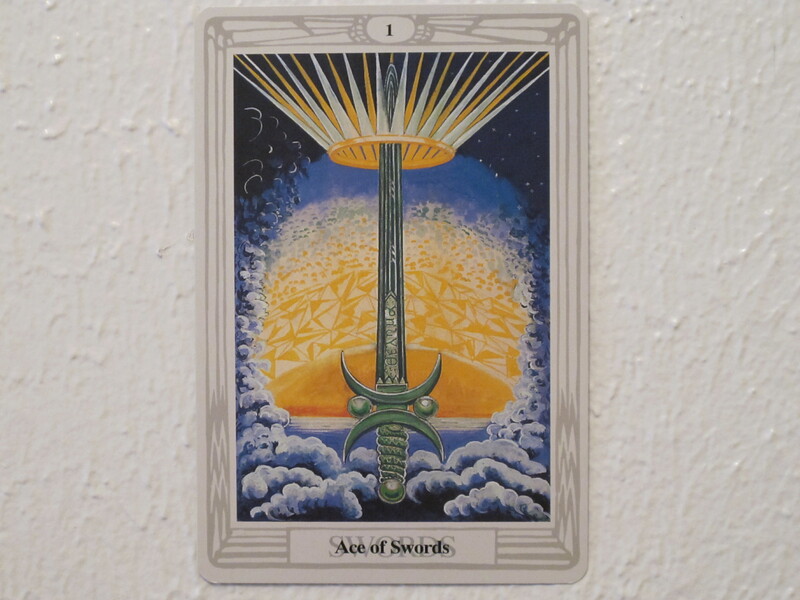 Meditating on the Ace of Swords card with the intention of healing the survival instinct would be timely during this Full Moon, especially with Tantric and Vedic chandra (moon) or soma (moon) mantras. Gurus teach that these mantras support the mind. In the context of this reading, the Heart puts faith in the intellect’s ability to achieve the balance of thelema under the law of love, and is ready to go to work. This Full Moon offers empowerment to the success of that collaboration. 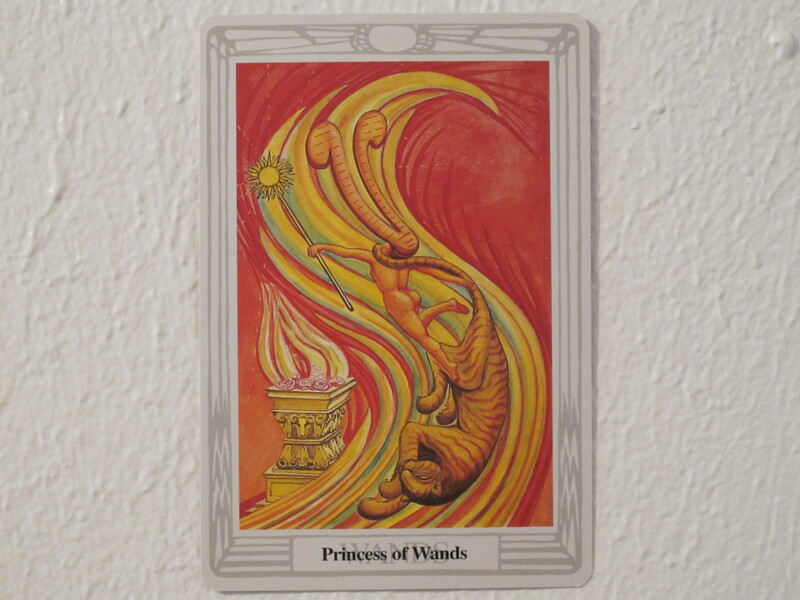 The Princess of Wands appears to emphatically underscore the Heart’s desire to carry out a few shrewd decisions so that it can have room to expand into its more exotic attributes. One can wrap up one practical matter only to begin another. As interesting and laudable as it may be to be adept at practical matters, the Heart also has unusual, charismatic qualities it expects to manifest in the near future. This Princess defends her Ace’s rams-head throne (Aries = ram) by tending a sacrificial fire on it, and making herself part of the fuel for the flame. Sound dangerous? It can be. Therefore, working on these gifts together with considering the state of the survival instinct would be wise. This Full Moon offers support wherever one’s resources reach their limits. Looking at the images of the three cards overall, there are two images showing priestesses faithfully defending their thrones/altars, and one in which the lord of one altar appears. It is a visual signal from the Tarot about attending to one’s spiritual practice faithfully. 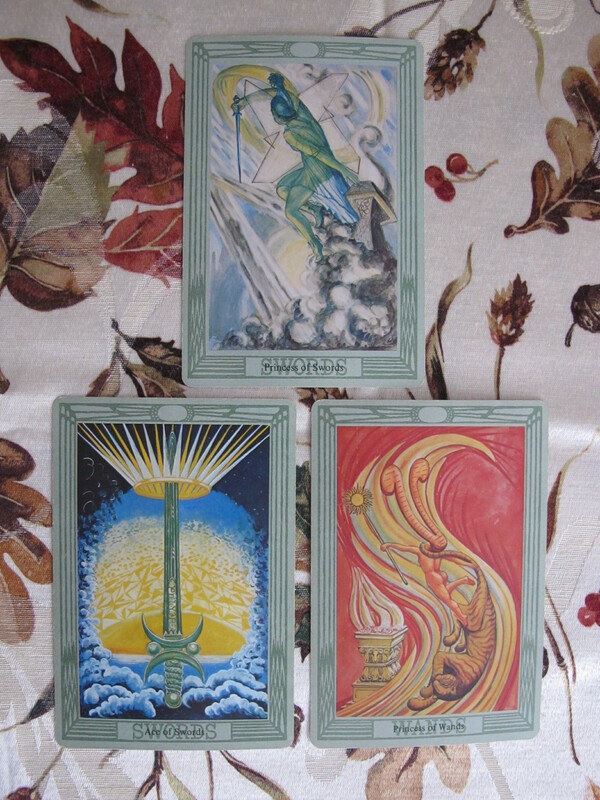 A Tarot spread can condense the many astrological dynamics at play on a given day into a few images. There is a reminder here of the importance of one’s spiritual practice (ritual, ceremony, journal writing, meditation/prayer, yoga/chi gong, chanting, dreamwork, inner work, etc.). The reminder is strong enough that it indicates the timeliness of improving the quality of one’s spiritual practice. I humbly accept the challenge. May the Moon and its powerful fullness and closeness be welcome on the Heart’s altar. May all other cherished spirits who guide and protect the Heart also be welcome. May the Will have ears for the Heart’s signals as it works towards greater clarity in practical situations. May the Will experience its full potential in safety and in alignment with love. May the most individualized form of talents and gifts find expression in life to the benefit of the self and others. May this sense of all parts of oneself working together in harmony be a permanent step of consciousness and an irreversible mode of operation. May the value of spiritual practice shine like a gem in the mind’s eye. May it be so for you, dear reader. May it be so for me. May it be so for anyone in the world who has longed for freedom to be themselves. May their individuality be faithful to the law of love, and may they be loved, accepted and supported. This entry was posted in astrology, full moon, ritual, spirituality, tarot and tagged astrology, autumn equinox, blood moon, fall equinox, full moon, lunar cycle, lunar eclipse, Medusa, Princess of Swords, ritual, spirituality, thelema, Thoth Tarot, wisdom of the Heart. Bookmark the permalink.